Great guitarist, he sadly remains very underrated!! I think his first bands were in Germany, but can´t find any info about that period. So, if someone can help, it would be very appreciated! There were more lineups at the very end of the band, without Hawken and Stamp, but can´t find the complete info. Can someone help, please? But things never were the same, and after six months, they split. John was a member of this band, but haven´t been able to find info about them. Help, please! They released an album, Neon dream, before disbanding. They released an album, Out of the mist. 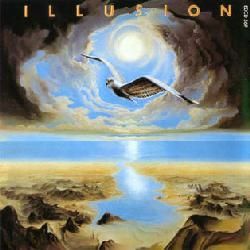 Their 2nd album was called Illusion, being produced by Paul Samwell-Smith. They started recording a 3rd album, but due to lack of interest, the band decided calling it a day in late 1979. Fortunately, these songs have finally been released in 1989, forming the album, Enchanted caress. The album also features the last recording ever made by Keith Relf, a song called ´All the falling angels´, and guest appearances by Chas Cronk (bass) and Tony Fernandez (drums). John played from time to time with this band, as it also featured his mates Craig Collinge and John Hawken, but can´t find info about the lineups or the period when this happened. Help, please! But when Roy Hill joins Strawbs, the complete band goes with him. But people missed the original vocalist, Dave Cousins, so after a couple of gigs, they decided not carrying on (Strawbs reformed soon later with some of the original members, without John). Jeremy Truelove left the band in 1981. 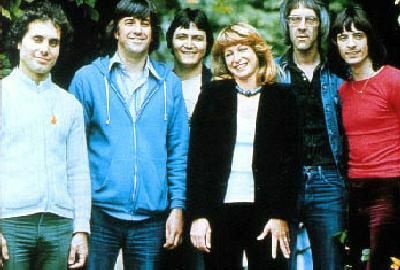 Dave Blake left them in 1982, reducing the band to a quartet. The band split for a while when Jim McCarty reformed the Yardbirds in 1983. But, after a few months, they turned into Box of Frogs, without Knightsbridge. But Johnny Mars left that same year 1984. But Earle´s stay was quite brief. This lineup remained together until 1986. But original member Paul McCallum left the band in 1987. They released the album Ruthless Blues. But the band stopped working for a second time this same year. I don´t know what John did between 1987 and 1991. Any clue? But Rees stayed only some months in the band. And I´m not sure, but I think they split again. Can someone confirm me that, please? In 1997, John Earle left them. And in February 1999, Knightsbridge and Stroud left the band. I haven´t know any more things about John´s musical career. It´s like he´s disappeared. Can someone help me with info, please? Comments: Tape only, i think. Comments: Compilation including mostly tracks by Renaissance, Illusion and Stairway. Comments: Recorded from June to October 1987. Dave Blake: for info on Ruthless Blues and John. Ian Cook: for info on Ruthless Blues. my friend Alex Gitlin: for some scans as well as album credits on Limey. Mark Saunders: for his review of Ruthless Blues gigs. 09/August/2010 - Page added to the blog. 02/October/2000 - Original page written by me (in the old site). John gave up playing completely,he got married and moved to America,I was a long time friend of Johns,there were some other cassette only releases from Ruthless Blues,recorded at the infamous"Angies" which I have somewhere,if I remember will dig out the info for you. Thanks for the info, Richard. I'd love getting that info about the cassette releases from Ruthless Blues. And if the fanzine name tells about its content, I´ll let you know that all the Yardbirds members (past and present: from Keith Relf to Billy-Boy Miskimmin) will be featured in my site. If you don't mind writing me by email, I'd like to ask you one thing about a Yardbirds photo I have from a TV concert in Spain in the 80s. Thanks again. you might be able to reach John on the Myspace set up,I know he has a page or two on there. Hi, Allen - please, when you see John, let him know about my page on him; I'd love to know from him, to speak about his career. He's so great!